A subject that I have considered many times in the past is that of the perception of false believers that they are saved, when in deed they are not. I mean can anything be more terrifying than to reach the end of one’s life having believed that you have avoided hell as you prepare to walk through its gates (please forgive the hyperbole). This is something to consider, these individuals prophesied, cast out devils and did miracles, all “in thy name [which would be “in Jesus’ name,” hereafter referred to based upon the grammar],” yet they were false believers who were unsaved. Concerning the issue of Eternal Security, I take great comfort that Jesus states, “I never knew you,” putting to rest the idea that these individuals were once saved, then lost their salvation. What this means is that these individuals were never saved to begin with, as He never knew them, He never had a relationship with them; they did not lose what they never had in the first place. Yet further, He states that they “work iniquity,” as if this is their foundational point of identity – they didn’t work goodness, they didn’t do some good and some bad; they always habitually did evil. We get this insight from the grammar wherein the word “work” is a verb that is in the present tense, middle or passive deponent voice, participle mood, normative case, plural number, and masculine gender. The present tense means that the action being done never stops, it is continuous. Middle/Passive Voice – as a deponent verb is almost always translated as being in the active voice, which means that the subject (person) that’s been spoken of is the one doing the action. We see from the mood and the case that the evil spoken of is laborious actions which are habitual behaviors; they are not singular in nature, but repetitive. These individuals are marked by their habitual behavior of doing evil. “Wherefore by their fruits ye shall know them,” which is the Segway to the passage at hand. We see these professional fakers who on the outside appeared to be as a believers (sheep), yet inside were completely the opposite of their pretense – even worst yet they were predators (wolves), feeding off of others. However, the pretense is unmasked when you look at the true nature of their behavior. Here Jesus points out the difference between religious behavior and (Christian) righteous behavior. Religious behavior, that of following a belief system other than Christianity is easily recognized in that it presents a formula, set of rules, and doctrines; are grievous to the participants. Whereas (Christian) righteous behavior is based upon the following and doing what Jesus says, and what the Holy Spirit has communicated in the New Testament. What we see from the above passage concerning the Pharisees (those religious teachers of the Torah), was that they were to teach the Torah, “the Law” of God; in a way which it would be a schoolmaster to bring man to the understanding of their sinfulness as stated in Galatians 3:24-25. The Law is a representation of God Himself, and is always good. Yet, the Pharisees took the Law of God and interpreted it into rules that appeared to solely deal with the outward behavior, while avoiding the inward nature of sin (Matthew 23:25). However, the evil that lives within these men, the Pharisees displays itself in their behavior in how they would use the law for their own means. They would interpret the Law in such a way that they thought they were hiding their sin, yet it was readily apparent that they were using the Law for their own means. Jesus knew that the Pharisees wanted both the gold and the gifts on the altar. This is why the Pharisees practiced “Corban” — anything dedicated to God could not be used for others (Matthew 15:1-9; Mark 7:10-13). These men were not seeking for the righteousness of God; they were greedy for gain. They worked out a “religious system” that permitted them to rob God and others and still maintain their reputations. This practice referred to as “Corban” was the practice of taking one’s fortune, their money and saying it was dedicated to the temple so that if their parents who were destitute and needed financial help, they could avoid giving up any funds, even though the Torah demanded that they take care of their parents. But they were the ones that decided how the money would be spent as it was dedicated to the temple, yet used for their own personal pleasure. They found a way to use the Law and twist it according to their own sinful hearts. Notice what it does not say. It doesn’t say that they simply prophesied, but that they prophesied “in Jesus’ name.” They didn’t do these things in the name of some other deity, or in the name of their church, or some occultic movement or any other contrivance; they did it the same way that true followers of Christ would do it, “in Jesus’ name.” This is probably the reason why they appeared to be Christians, they acted like Christians would, using the same terms and expressions, and on top of that they did (appeared to do) miracles, or displayed what appeared to be Spiritual gifts. There is one group of spiritual leader who does wonders “in Jesus’ name,” faith teachers, who claim to have the gift of healing. I am speaking about those false teachers that distort the doctrine of faith, falsely claim to heal individuals; when in reality it was the individual’s faith that was the reason that God healed them – it was because of their faith that God responded by healing them (and there are many schemes that these fraudulent wolves use to appear to do miracles, which are no miracle at all. See Endnote #1). These false teachers make merchandise (2 Pet. 2:1-3) of many people, all in the name of the Lord. However, how many Christians are fooled by miracles. Satan has power that God did not strip him of when God casted him to the earth. The priest of Pharaoh during the Exodus performed the miracle of turning their staffs into snakes, replicating Moses miracle. The text does not indicate that there was chicanery involved, but that there were real miracles (Exodus 7:12). Or Jesus warning concerning the great signs and wonders that will be used by “false Christs” and “false prophets” (Matthew 24:24). Or the miracles performed by the false prophet as stated in Revelation 13:11-14. The point is, miracles are not a sign of piety, righteousness, or stamp of the acceptance of God. Yet, within the church world how easily believers are deceived according to the sight of their eyes. God is such a good Father that if a believer seeks a healing, God might still choose to heal that person even if a false prophet would claim credit for it – this is the behavior of a good Father who cares about the child more than how a false prophet appears – yet God also knows that in time He will repay. Miracles are not performed at the hand of the false faith teachers, or even an individual with a gift of healing, miracles are always done by God; not man. There is one other observation I would like to make concerning this passage before we conclude. Notice that when these individuals are addressing Jesus they state: “Lord, Lord.” Now I am one of those individuals that believes that every word in the Bible is there for reason, so my question is why the double reference. Why this emphasis by repeating Christ’s sovereign title “Lord,” was it an empty platitude, or was it from fear? Because they either knew or thought that they might be in trouble, or that they had done something wrong. Were they aware that they were manipulating God, misusing functions meant to be used for God’s glory, only for themselves and their own vainglory? Was it that they were unsure, so they repeatedly displayed submission? What is remarkable is that in each one of these 5 passages, which refers to 3 different situations, the first two concerning false believers claiming to be believers, the next one concerning the 5 unprepared virgins, the next concerning those that do not do what Jesus says, and the last one where Jesus speaks about those that don’t make it into His kingdom. In each one of these situations, the individuals using this term appear to show submission; yet, in reality they have offended the One they call Lord. There are two words which never go together; no, and Lord. To be honest with you, if I was standing before the Lord, I understand the desire to display submission; but disputing with the Lord, justifying myself. If He is God and perfect; how can I ever disagree? I would be on my face begging forgiveness – even if I knew it would not work, what else would a person who believes in God do. Of course, a person that believes the things I do about God based upon His Word (see Endnote #2 concerning the authority of God’s Word, and the preeminence of Jesus as Lord), would not treat God the way these guys do, using God to gain credibility for them selves – a true believer loves, but also fears God too much to do the things that these false believers do. In law enforcement when someone display overt submission like this, it is considered a “tell,” they overplay their role, they display too much submission to the one in authority because they know that they have been busted, and seek to win favor or trust. So did these individuals display that they were REAL followers of Christ? Did they not only hear His words, but do them? Or if not, did their behavior display their knowledge that they were not true followers? One of the things I love about our heavenly Father, which is reflected in His Book; is that if there is danger, He doesn’t simply warn us once, demanding that we pay close attention in fear of coming so close to danger. No, He repeats those things that are important, and gives multiple warnings in different ways in order that we would have the utmost admonition. What relieved my fears concerning the possibility of an individual believing their saved, while not; and that I might, or those that I love might fall into this type of folly; was going back to God’s Word and seeing what He has repetitiously stated. It is the verse just prior to our proof text, Matthew 7:20 that help bring this relief. “Of the seven things that Jesus said from the cross, the last thing was “Tetélestai.” And while the King James translates it “it is finished,” there is greater nuance to the word than this. The fuller translation is “paid in full.” And while many non-believers have said that Jesus finished His life, or finished His teaching, or finished His mission, or finished speaking; however, none of these are the Gospel of Jesus Christ. It was Jesus’ death, burial, and resurrection (which is specifically defined in 1 Cor. 15:1-3); which was for the propitiation of our sins that is the Gospel. And it was as Jesus was dying on the cross that He announced He had finished completely what God had given Him to do, by “paying in full”, that which was required. Therefore, in the final analysis it all comes down to a question of God’s integrity according to His promises and declarations as found in His Word. 1. False Teachers – A few years ago the news show: “60 Minutes,” as well as some professionals in the field, investigated some of the common practices of supposed “Faith Healers” and exposed some of their deceptions. The most famous of these, Peter Popoff who while sanding on the stage stated that God was telling him information about a participant in the audience, while he was being given instructions through an earpiece from his wife who is stationed at a computer reading from a card that the attendee had filled out prior to the service. There was no mistaking the open deception that this charlatan was committing upon believers. Among many of the cons that were perpetrated by this and many other supposed “Faith Healers” were the following. Up until an hour before the event, ministry members would be stationed in front of the events center greeting individuals who would come early, filling out supposed prayer request which were actually tools to document information that would later be used as if the healing evangelist would hear this personal information from God Himself. The evangelist was aware that individuals that came early were susceptible to their cons, and they would utilize this vulnerability to their own ends. Ministry members would offer wheelchairs to those that had problems walking, then wheel them up to the very front of the auditorium in front of the seated congregation. The evangelist would go forward, have a word from the Lord, then approach one of these individuals and state, “rise and be healed,” at which point they would grab the individual in the wheelchair by the hand and coax them to stand up. What appeared to be a miracle to the audience was simply an elaborate sham, and due to the susceptibility of the individuals, they would never speak up and openly challenge the presentation. If anything else it would later be marked up to a misunderstanding. These types of “wolves in sheep’s clothing” feed off the vulnerabilities and susceptibilities of innocent believers and perpetrate their fraud within the Christian community. Isaiah 55:10-11 – “For as the rain cometh down, and the snow from heaven, and returneth not thither, but watereth the earth, and maketh it bring forth and bud, that it may give seed to the sower, and bread to the eater: So shall my word be that goeth forth out of my mouth: it shall not return unto me void, but it shall accomplish that which I please, and it shall prosper in the thing whereto I sent it”. Psalms 119:98-105 – “Thou through thy commandments hast made me wiser than mine enemies: for they are ever with me. I have more understanding than all my teachers: for thy testimonies are my meditation. I understand more than the ancients, because I keep thy precepts. I have refrained my feet from every evil way, that I might keep thy word. I have not departed from thy judgments: for thou hast taught me. How sweet are thy words unto my taste! yea, sweeter than honey to my mouth! Through thy precepts I get understanding: therefore I hate every false way. Thy word is a lamp unto my feet, and a light unto my path. 2 Corinthians 4:5-7 – “For we preach not ourselves, but Christ Jesus the Lord; and ourselves your servants for Jesus’ sake. For God, who commanded the light to shine out of darkness, hath shined in our hearts, to give the light of the knowledge of the glory of God in the face of Jesus Christ. But we have this treasure in earthen vessels, that the excellency of the power may be of God, and not of us. 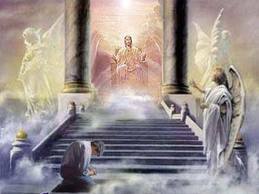 Hebrews 10:7 – “Then said I, Lo, I come (in the volume of the book it is written of me,) to do thy will, O God.